Reading and share top 1 Kathleen Papajohn famous quotes and sayings. 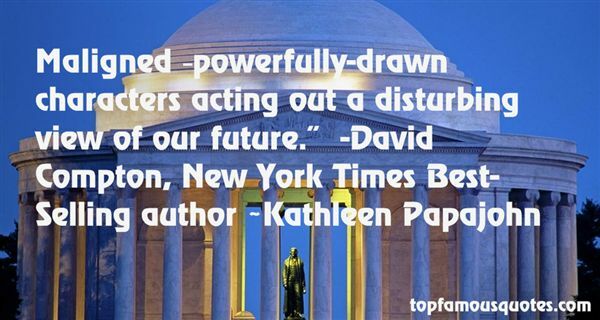 Browse top 1 most favorite famous quotes and sayings by Kathleen Papajohn. Hoyt was by himself right under one of the portable lights rigged up for the occasion. He had his hands thrust in his pockets, and he looked more serious than I'd ever seen him. There was something strange about the sight, and after a second I figured out why.It was one of the few times I'd ever seen Hoyt alone."